Mid-fall has always been a special time for Android fans, thanks to Google’s habit of releasing new Nexus devices and new versions of Android around this time. This fall is no different. Actually, it’s better: Google has launched two Nexus smartphones for the first time ever, and we’ve got to play with both of them following the company’s media event in San Francisco. The Nexus 5X has some big shoes to fill. In spirit, it’s the successor to the Nexus 5, probably the most beloved Nexus smartphone to date. LG is at its third Nexus smartphone, but is it the charm we’ve been waiting for? We find out in our Nexus 5X hands-on! The leaks were spot on. The Nexus 5X features a clean front, but a rather busy backside, dominated by the center-mounted protruding camera. This is a design element that has become prevalent on new smartphones, but Google’s implementation sticks out both visually and physically, and is bound to be controversial. For what is worth, the company says it’s due to the need to accommodate a very large camera sensor. Near the camera, we can see the dual LED flash and the window of the laser-based autofocus system (evoking the LG G4), as well as the vertical Nexus logo. 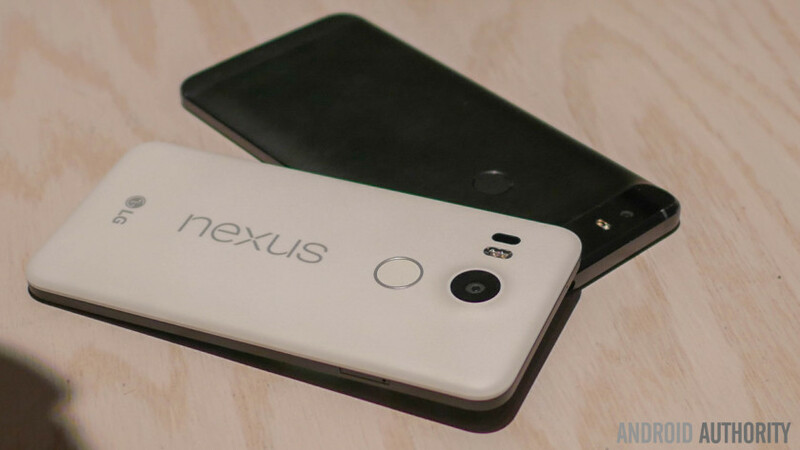 The Nexus 5X is built of plastic and comes in white, black, or “ice blue.” The plastic construction somewhat resembles the build of the Nexus 5, and that’s not a bad thing. At a little over 130 grams, this is a light device that feels pretty good in the hand. The volume rocker and the power button are placed on the right side, while at the bottom you’ll find the USB Type C port, making the Nexus 5X among the first smartphones on the market with this feature. The Nexus 5X keeps the Full HD resolution of its older namesake, but expands to a more modern 5.2-inch size. Quad HD has supplanted Full HD as the default resolution of flagship phones, but we won’t fault Google for keeping the Nexus 5X to Full HD, given the questionable benefits and increased power consumption of the higher resolution. Moreover, this looks like a very good LCD display, with nice brightness levels and color reproduction. The Nexus 5X is powered by a hexa-core Snapdragon 808, along with 2GB of RAM. The Nexus 5 is living proof that you can run Marshmallow without any issues on 2GB of RAM and an older processor, but moderns apps have higher requirements, raising the question of whether the Nexus 5X is future-proof enough. Unlike the more upscale Nexus 6P, the 5X still starts from 16GB of storage; that’s a little disappointing in this age of high resolution content and complex apps, and we’d recommend opting for the 32GB model if it’s possible. Google adopted a USB Type C port for the Nexus 5X, and unlike the OnePlus 2, this is a true USB 3.1 connector that supports fast charging. That’s a welcome feature given that the 2,700 mAh battery does not come with wireless charging. The other big hardware feature of the Nexus 5X is the fingerprint sensor on the back, which Google calls Nexus Imprint. This is supposed to unlock the device in 0.6 seconds, allowing you to bypass the lock screen. The circular fingerprint will also work with Android Pay and a number of third party apps, including the password manager LastPass. The Nexus 5X (like the Nexus 6P) features a 12.3 MP camera, whose sensor features 1.55 micron pixels that are larger than the typical smartphone camera fare, thus allowing in more light in challenging situations. This sensor is paired with an f/2.0 lens, a dual LED flash, and a laser-assisted autofocus system. Unfortunately, there is no optical image stabilization. On paper, this sounds like a solid combination, but as usual, the devil resides in the details. One notable usability improvement is the ability to quickly launch the camera with a double tap of the power button. Perhaps the most visible user-facing feature in Android 6.0 Marshmallow is Google Now on Tap, which makes a contextual-aware version of Google Now available with a simple home button long press. Google also touts its biggest advancements yet in battery management and the Doze feature in particular should greatly extend standby times. The fingerprint authentication should make mobile security a bit less of a hassle and the new permissions system promises to give users more control over the info they share with apps. There you have it, our first look at the Nexus 5X. Two years ago, the Nexus 5 was almost only alone in terms of what it offered for the money. The market has migrated downrange since then, and the Nexus 5X has some strong competitors in its price bracket. Our review will settle whether the Nexus 5X is a good buy or not, but tell us your impressions: what do you think of LG’s third Nexus?